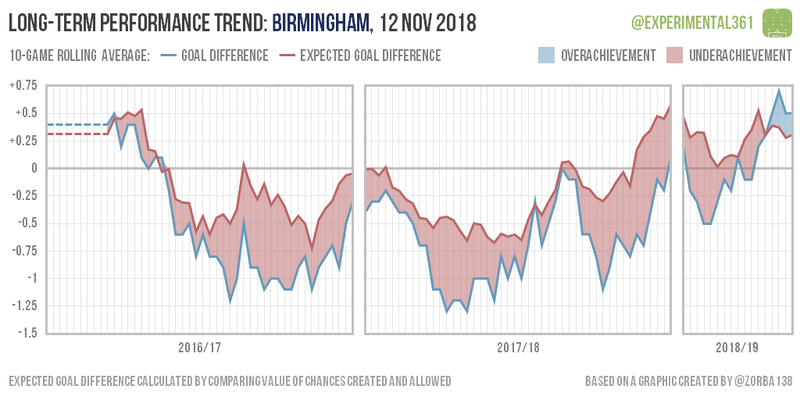 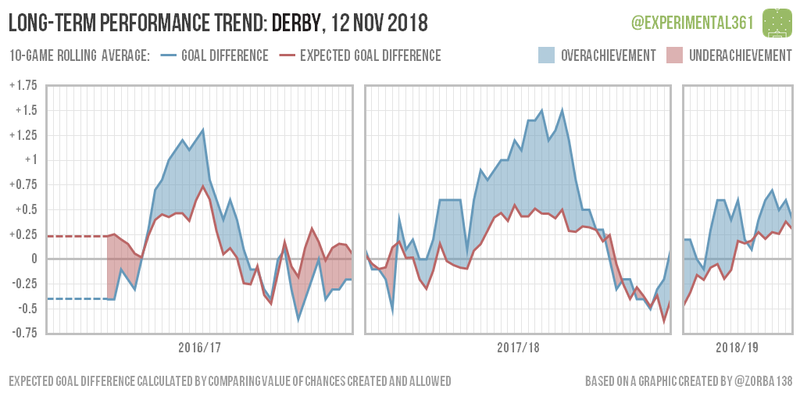 Garry Monk certainly has Birmingham pointed the right way, with Frank Lampard having restored Derby’s fortunes with impressive swiftness. 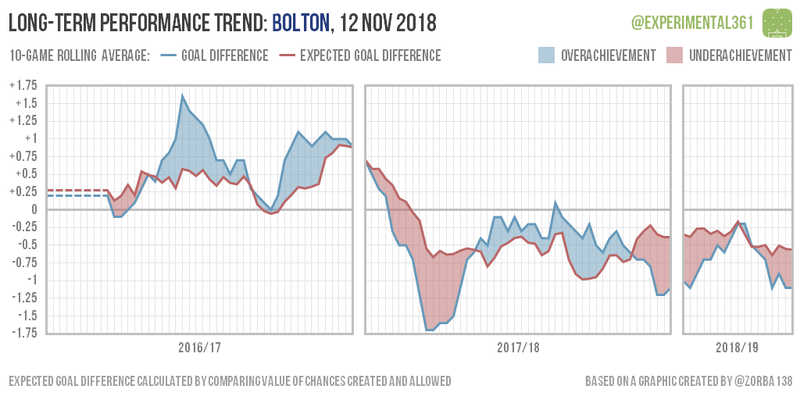 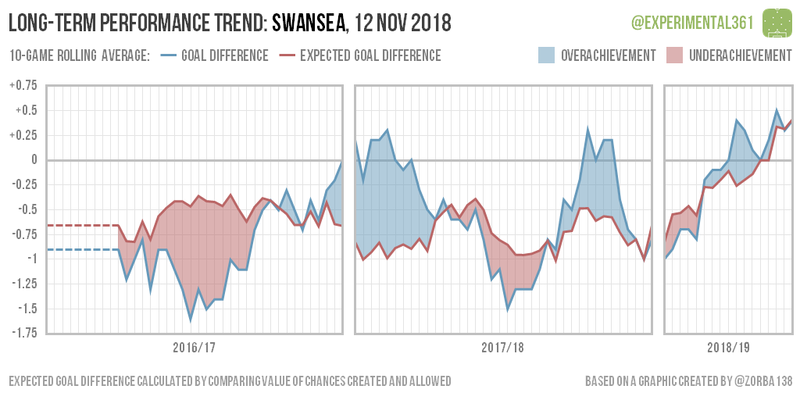 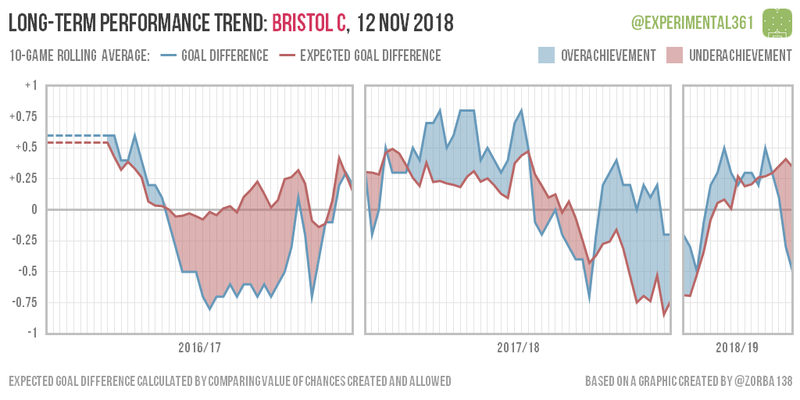 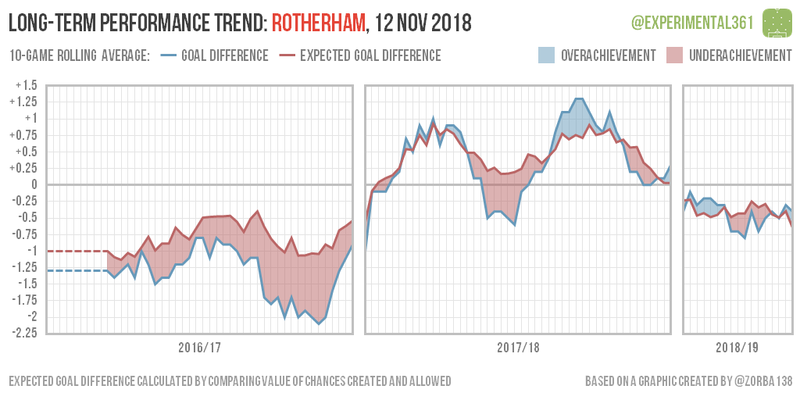 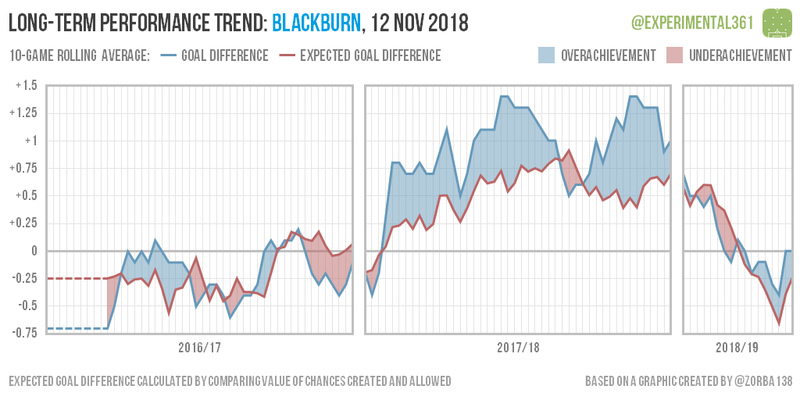 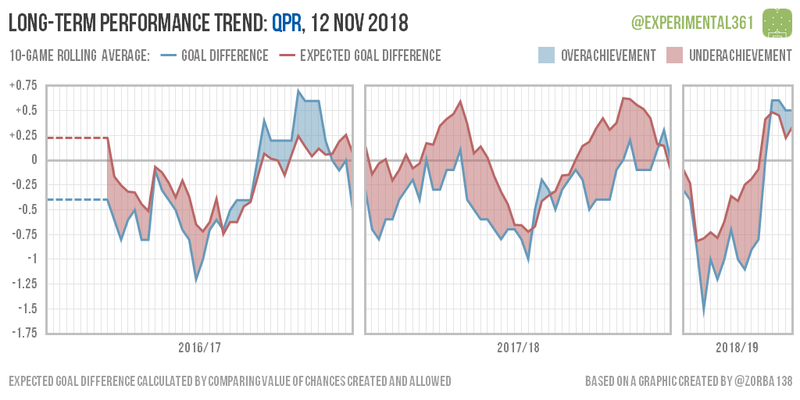 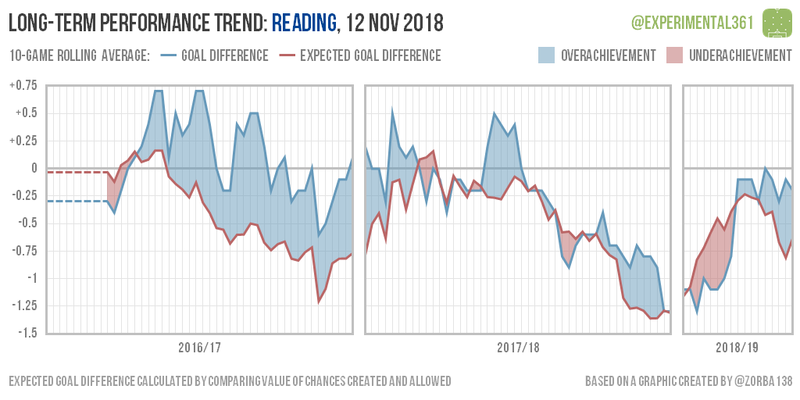 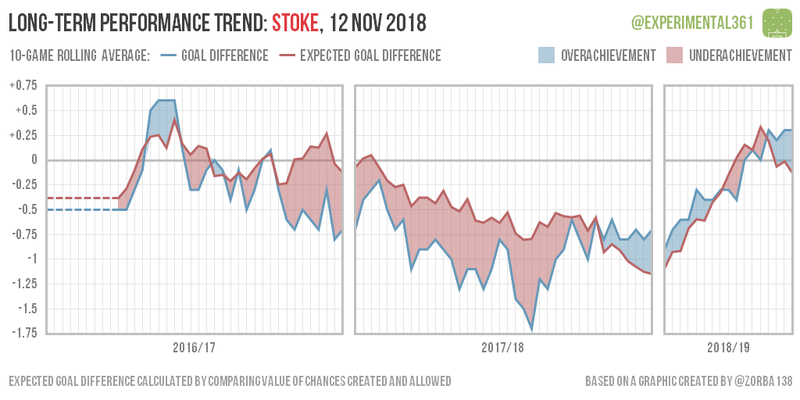 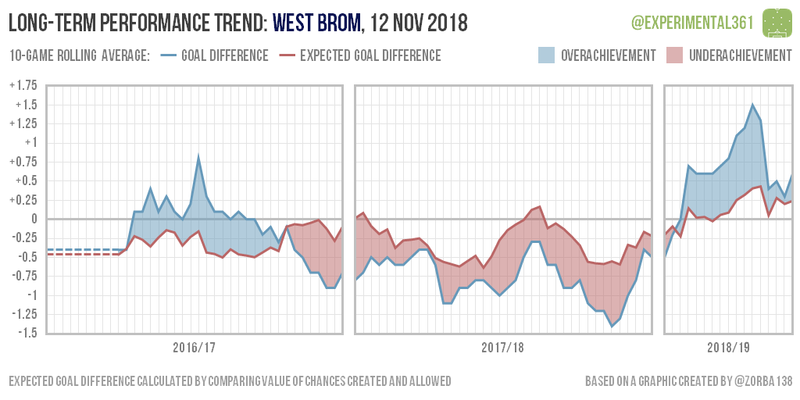 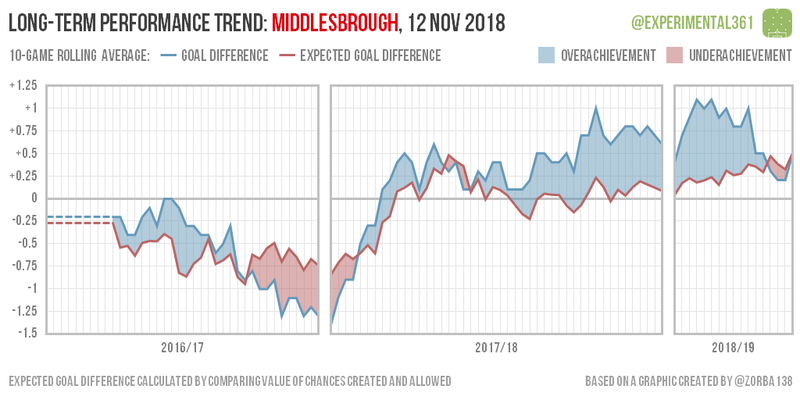 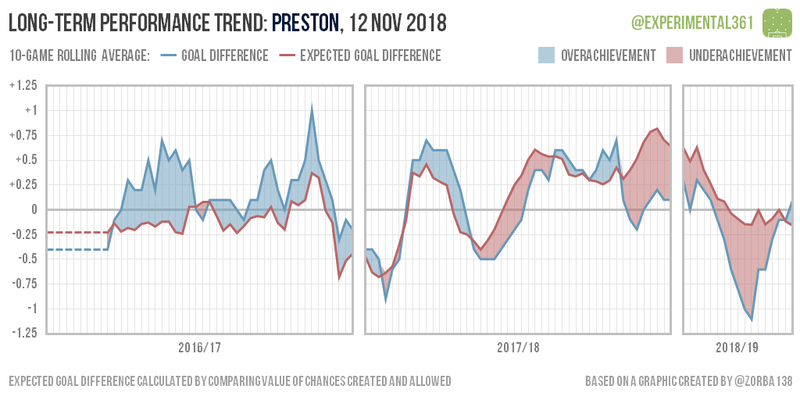 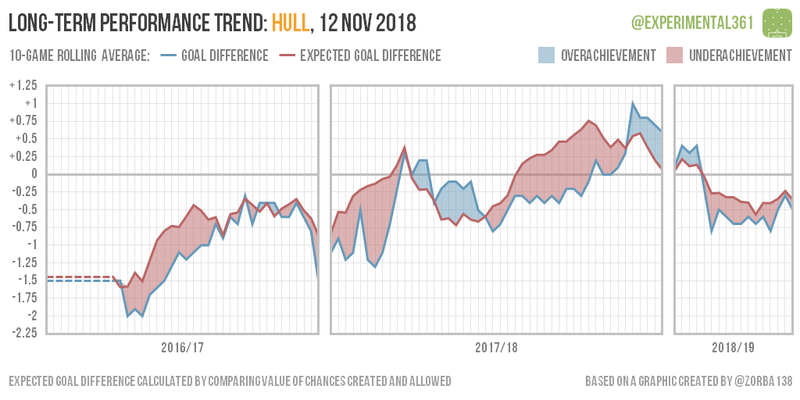 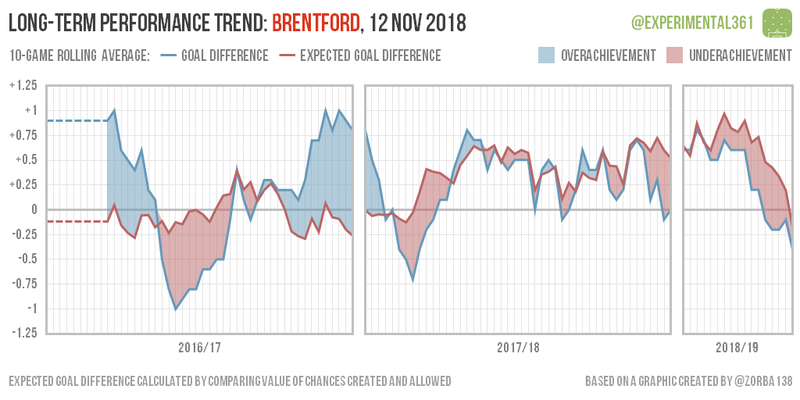 Hull looked to be on the up over the course of last season, but that momentum hasn’t carried into this campaign at all. 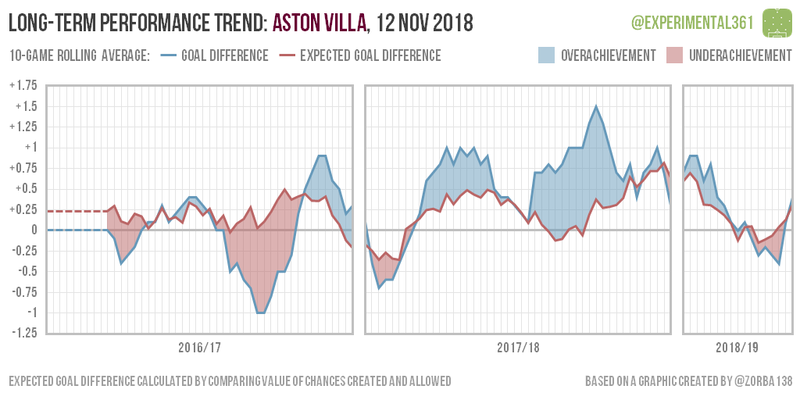 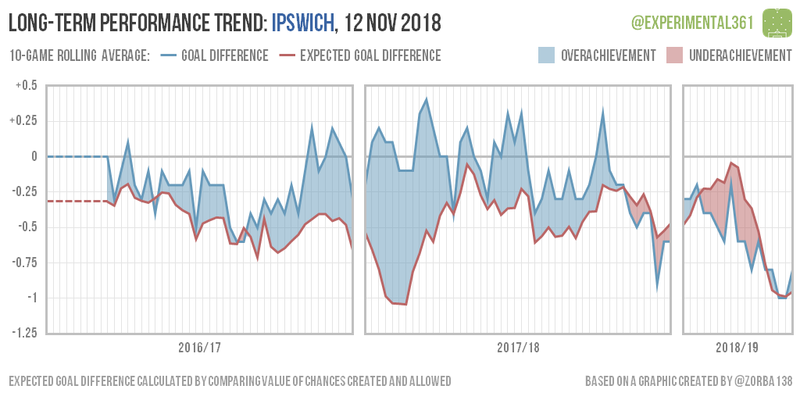 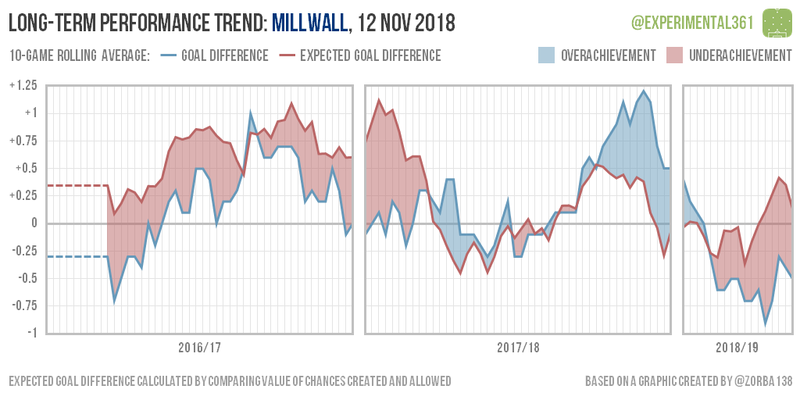 At Ipswich, Mick McCarthy was one of the game’s masters when it came to keeping the chart blue, but that knack has departed with him. 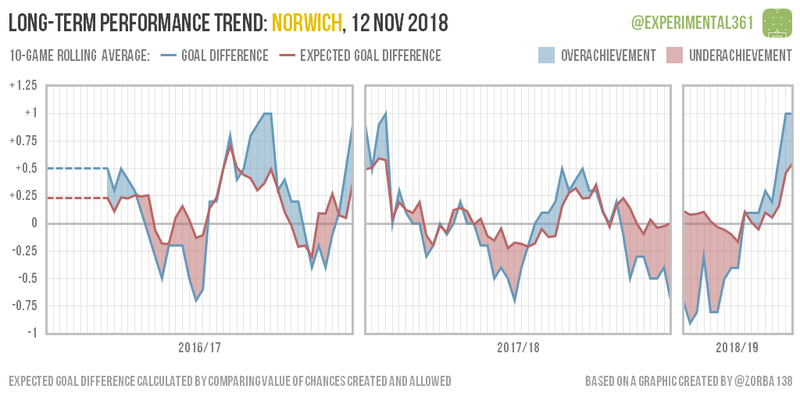 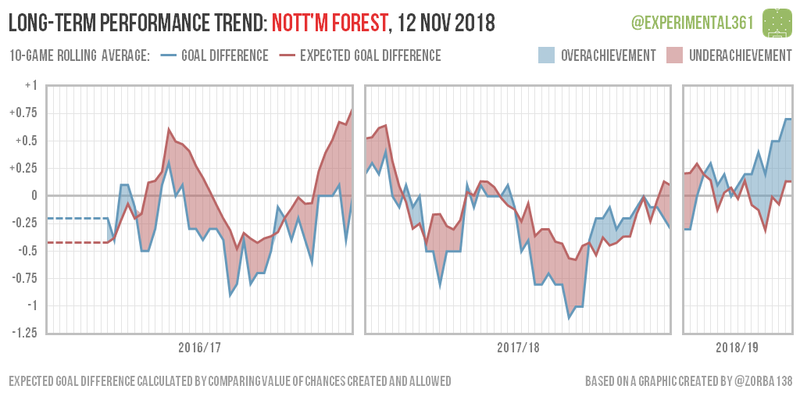 Nearby, Norwich have suddenly found another gear after a disappointing start, which is perhaps an understatement as they now top the division. 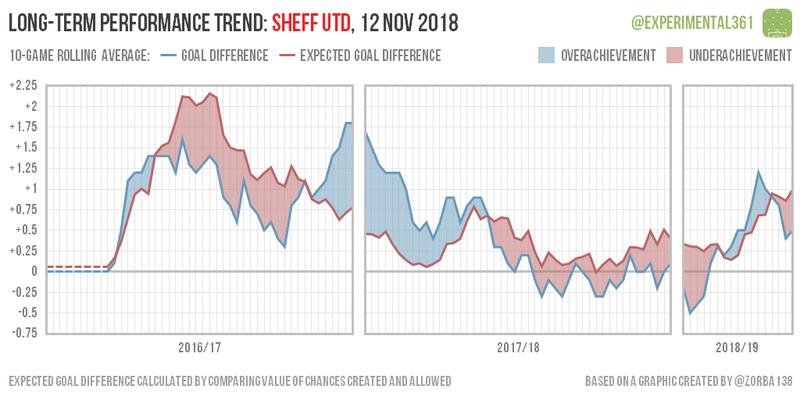 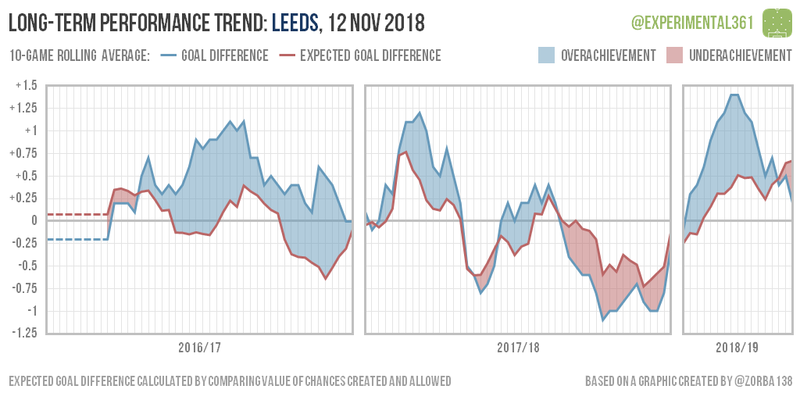 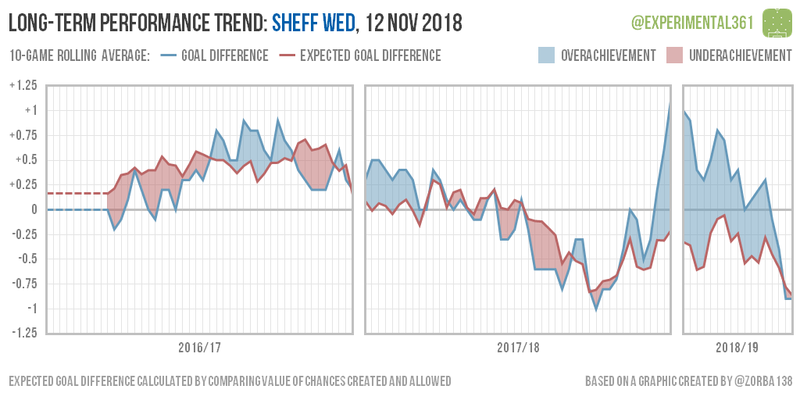 Sheffield Wednesday’s bright start wasn’t reflected in the underlying numbers so it’s not surprising to see that fizzle out unfortunately. 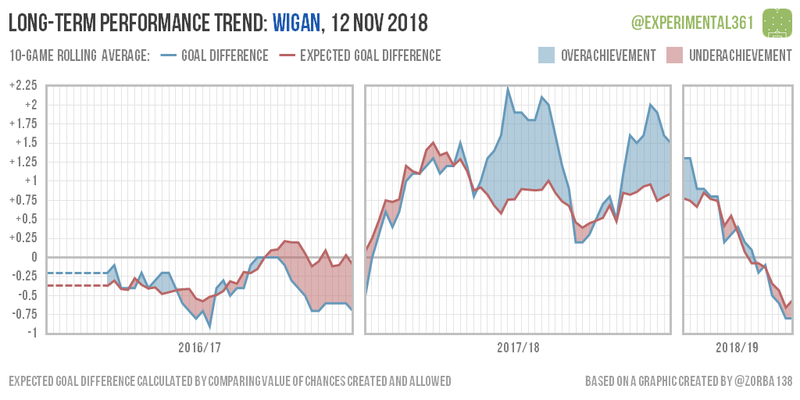 I’m a bit worried about Wigan, who started brightly but have seen both performances and results tank lately.